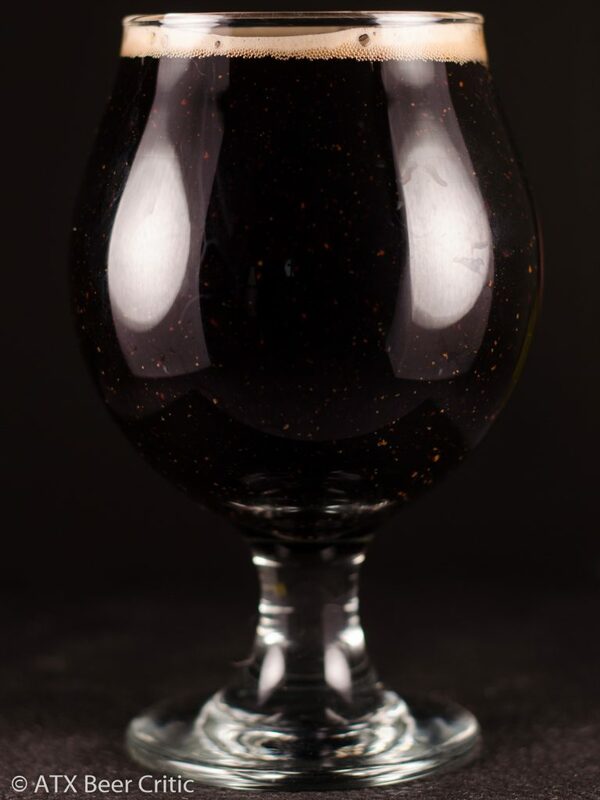 Born from owner Brad Farbstein’s homebrewing experiments in college — our porter is a rich, robust ale with a dry finish. Fresh, cold-brewed organic fair trade coffee courtesy of Katz Coffee in Houston, TX is added just prior to packaging. Our most popular seasonal release, it’s a whole new way to enjoy your coffee with breakfast, lunch or dinner. Deep roast notes at a medium high intensity hit the nose first. Lighter notes of chocolate and a slight hint of ash are also present. There is a low level of berry fruitiness that I want to attribute to the coffee. A very low level of citrus as well. No alcohol present, or fermentation off flavors. Pours a very dark brown, almost black liquid. Even though dark, clarity is good and highligts some floaters that tagged along in the bottle. The head is composed of small and mostly fine, tan bubbles, lasting with good retention. Coffee is the start player here. The roasted beans hit the tongue first at a medium high level. A medium bakers chocolate and lower caramel note also joins in. There is a bit of an acidity here as well. It does seem to make the flavors a bit brighter. A touch of strawberry and orange play in the background. There is a medium bitterness which comes out towards the end of the taste, playing nicely with the dryness from the roasted malt. The chocolate and coffee notes linger slightly on the finish. A medium-full bodied porter. The mid-taste has a good amount of body to it, but finishes lightly. Moderate carbonation that prickles the front of the mouth. A slight alcohol warming in the throat. Slight roast astringency which dries the tongue on the finish, but not distracting. This is a good take on a coffee porter. The coffee character is pronounced in the aroma and in the flavor, but still allows the malts and light hops to shine through. I was surprised to see the bit of acidity present. I’d like to think if it was adjusted, a deeper malt character would be present. While the body on this was a bit bigger than expected for the style, I think it worked well to carry the coffee. 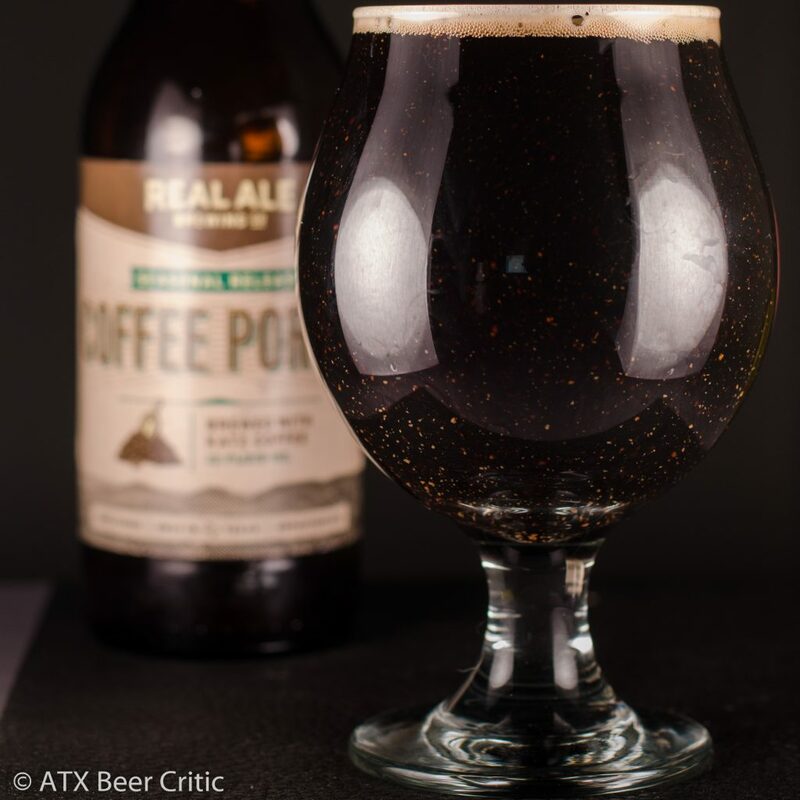 I’ve always looked forward to Real Ale’s Coffee Porter as one of my favorite winter seasonal in Austin. There has been some variance over the years. Some batches haven’t really showcased the coffee, where others had it too strong, or lacked malt character. While this batch has a couple flaws, it’s one of the better years I can remember. 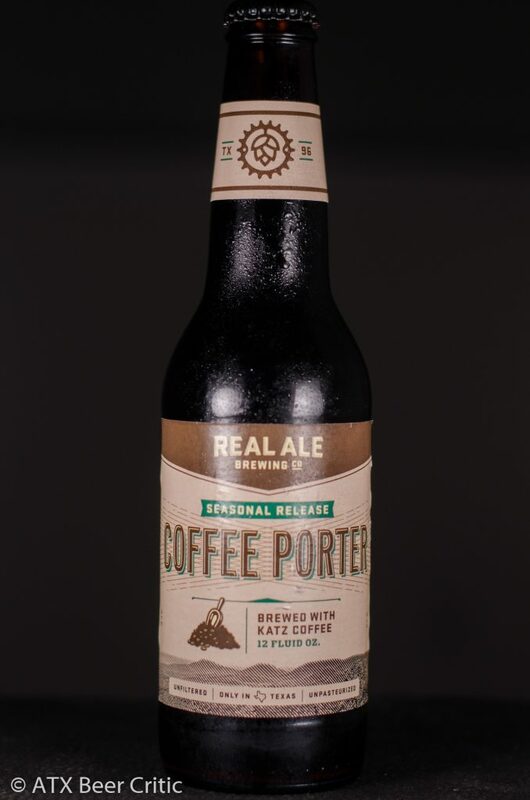 That said, I think Front Yard’s Coffee Stout has taken the reigns of best Austin Coffee beer from this for me.